Before the current conflict, Yemen was already the poorest country in the Middle East. Over 10 million people were going hungry, including 1 million acutely malnourished children. This number has increased by nearly 3 million since the conflict began reports Oxfam. According to the NGO more than 21 million people – nearly 84% of the population – currently have no access to clean water as fuel supplies dwindle. Violence has damaged homes, schools and even hospitals. So far, over 4,300 civilians have lost their lives and over 1.5 million people have been had to flee their homes. Food and diesel, which is needed to pump clean water, are increasingly in short supply and their prices are rising – putting these basic necessities out of reach for ordinary families. And at a time when people desperately need them, vital supplies can’t enter the country. That could prove disastrous, because Yemen relies on imports for 90 per cent of its food. 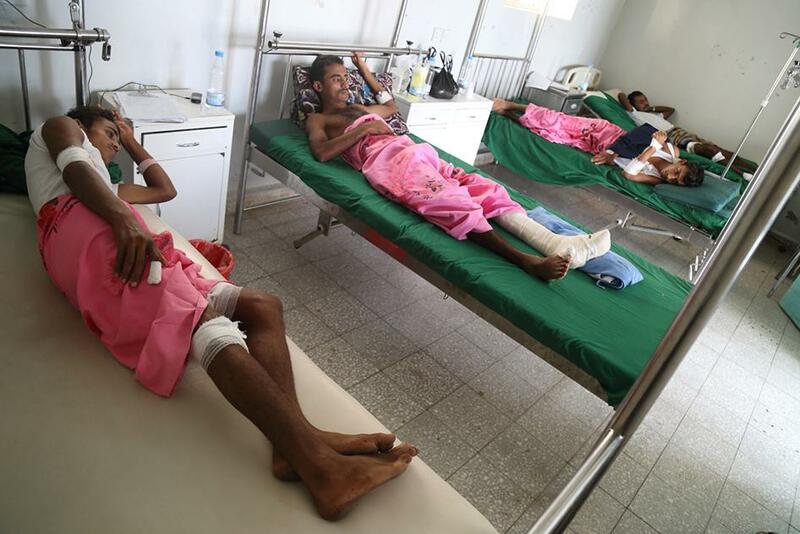 Further to this, Human Rights Watch reported yesterday, that the Saudi Arabia-led coalition forces appear to have used cluster munition rockets in at least seven attacks in Yemen’s northwestern Hajja governorate, killing and wounding dozens of civilians. The attacks were carried out between late April and mid-July 2015. It is critical that the government pushes for an immediate and permanent ceasefire, so that vital humanitarian assistance can be delivered to people in Yemen. Oxfam calls for action to prevent any further suffering to those who already desperately need help. Refugees Welcome vs. Asylum for All? Trump: saving America, and the world.